Nicole graduated from Smithfield High School and studied dental assisting at Lincoln Technical Institute. She is a Certified Dental Assistant, Certified Orthodontic Assistant through the Dental Assisting National Boards, and is certified in CPR. She joined Barone Orthodontics in 2015 to train new dental assistants and assist the doctors in the clinic. Nicole also enjoys office marketing, especially creating monthly contests for the patients to enjoy. Nicole always tries to make time for quiet reading and creative hands-on projects at home. What she loves most is spending time with her children and doing seasonal activities or just keeping active outdoors. 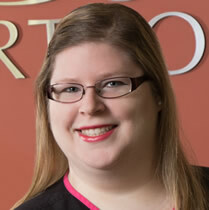 Keri joined Barone Orthodontics in December 2013. A graduate of Davies Career and Tech High School, Keri went on to complete Lincoln Tech Dental Assisting Program. She is CPR and radiology certified. Keri loves the interaction with patients and takes particular joy in seeing patients from the beginning of their orthodontic treatment to their final stages. She resides in Lincoln with her daughter. In her spare time, Keri works as a hair stylist, enjoys being involved in the community and volunteering at her daughter's school, and is a Red Sox fan. Keri also volunteers as a CCD teacher. 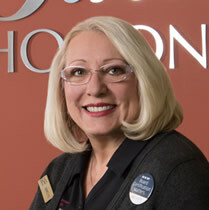 Donna joined Barone Orthodontics in 1987 as treatment coordinator. A graduate of Mt. Pleasant High School, she has certificates in treatment coordinating, radiology, and CPR, and has passed the Dental Assisting National Boards. Donna attends numerous professional development courses each year to stay current with the latest in orthodontic treatment. She embraces the challenges of working in an orthodontic practice and enjoys working as a team to care for patients and help them achieve healthy smiles that will last a lifetime. 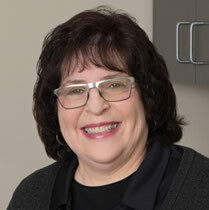 Donna feels that Dr. Barone's and Dr. Nick's gentle chairside manner, acute attention to detail, and dedication to providing patients with the full orthodontic experience makes our practice a special place to receive orthodontic care. She truly enjoys seeing the incredible results and the increased level of self-confidence that are achieved by having a fabulous smile. Donna and her husband, John, have two children and three grandchildren. When not spending time with her family, Donna enjoys cooking, volunteering, and becoming a black belt. 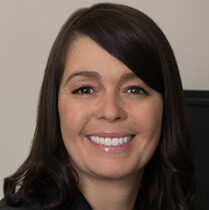 Alyssa joined the Barone team in 2016. She attended Lincoln Technical Institute, is certified in radiology, and is a Certified Dental Assistant. She works with many of our new patients during the beginning stages of treatment by taking photos and X-rays, assisting in exams, and conducting consults. Alyssa feels fortunate to work with two amazing doctors in such a great atmosphere. Alyssa lives in Woonsocket with her son Jay and her life companion Jared. In her spare time, she enjoys cosmetology, cheerleading, and doing hands-on activities with Jay. Imma has worked at Barone Orthodontics since October 1983. 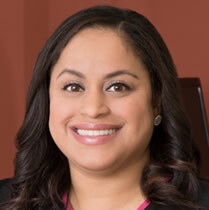 She can be found filing insurance claims and follow-ups, taking dictation for Dr. Barone, and a myriad of various other duties that help make our office run smoothly. Imma enjoys the everyday challenges of her position, and her co-workers have become her special friends. She compliments Dr. Barone and Dr. Nick with striving for optimum results with patients, staff, and office systems. Imma lives in Lincoln, RI, with her husband, Anthony. She is an avid Red Sox and Patriots fan and enjoys spending time with her family: her son Anthony and his wife Gina, her son David and his wife Edwarda, and her two granddaughters, Brianna and Mya. She also has a granddog Toby and a grandkitty Peaches. 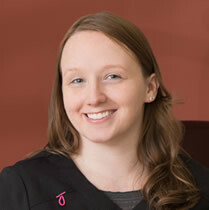 Katie joined Barone Orthodontics in 2010 as an orthodontic assistant. A graduate of Tolman High School, she received her dental assisting training at Lincoln Technical Institute, is a Certified Orthodontic Assistant through the Dental Assisting National Boards, and is certified in CPR. Katie enjoys meeting new patients and helping create brilliant smiles. She also finds she learns new things every day and greatly appreciates her co-workers' teamwork. In addition to spending time with her fiancé Arthur, Katie also enjoys reading, photography, writing, shopping, and spending time with her family and friends. She also volunteers with the Mission of Mercy. Marilyn is a graduate of North Providence High School. 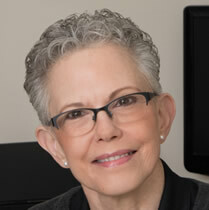 She has been trained in the fabrication of plaster models, retainers, and retainer repairs under the tutorage of Dr. Barone since the beginning of her employment in 1983 as a lab technician. She has attended numerous continuing education classes, including those the fabrication of Essix retainers and Invisalign®. Marilyn enjoys the challenge of working in a fast-paced office, appreciates the empowerment given to her by her office coordinator, and the camaraderie of her co-workers. She admires Dr. Barone for his intelligence in his field and appreciates his drive for perfection. Marilyn has lived in North Providence all her life and married her high school sweetheart Anthony in 1972. Her daughter Nicole is an event planner at South County Hospital. She also has twin granddaughters, Aurelia and Marlena, born October 31, 2011. She takes special interest in babysitting, gardening, knitting, and watching QVC and Fox News. Mireille joined Barone Orthodontics in January 2015. She is a graduate of Crosby High School in Waterbury, CT, and graduated from Lincoln Technical Institute in dental assisting. Mireille is a CNA and holds certificates in CPR and dental radiology. She finds great satisfaction in getting to know our patients, making a positive difference in their lives, and seeing their beautiful smiles at the end of treatment. Mireille resides in Woonsocket, RI, with her husband Jorge, their five children, a chocolate Lab named Bruno, and two parakeets. She loves being with family and friends, and making memories that last a lifetime. 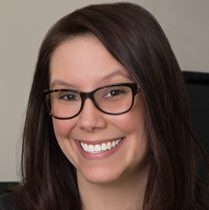 Heather joined the Barone Orthodontics team in 2016 after graduating from Lincoln Technical Institute. She assists our doctors by taking impressions, changing wires, and helping with bracketing. She enjoys our office’s fast-paced and friendly environment and loves being a part of a team that is so friendly, positive, and willing to help each other. When Heather isn’t in the office, she enjoys spending time with her daughter. 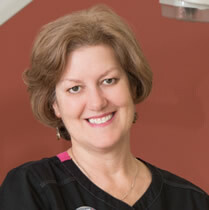 Jennie began her career in dental assisting through on-the-job-training in 1997 as an orthodontic assistant. From there, she branched out into pediatric dentistry. After working the required 3500 hours, she earned her general chairside DANB certification in 2000. Jennie is in the process of getting her general chairside recertification with DANB and becoming DANB certified as an orthodontic assistant. 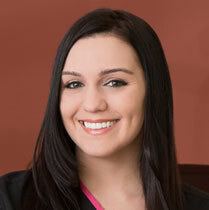 Jennie appreciates the professional nature of Dr. Barone and Dr. Nick, and the positive atmosphere of our office. Jennie and her husband Ron have been married for 34 years. They enjoy Bible ministry work and have a great love for the outdoors. Her summer specialty is being able to reap and cook with the fresh fruits and vegetables from her garden.